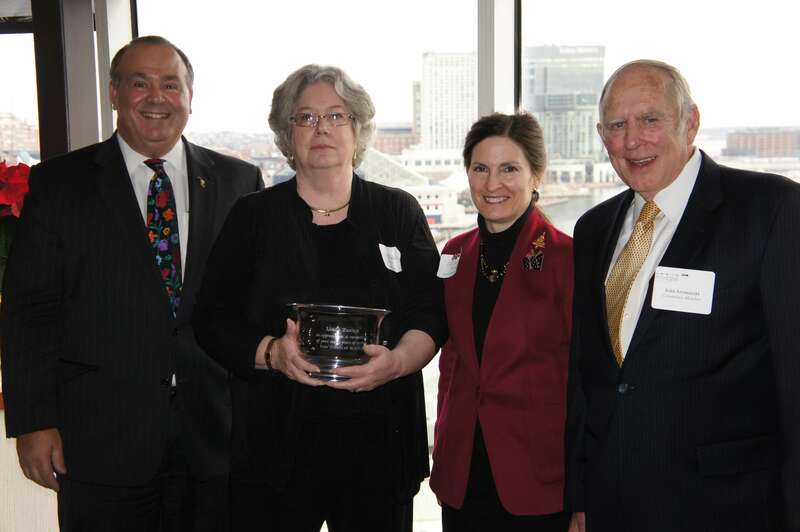 High above Baltimore’s Inner Harbor, Maryland’s greatest tax minds gathered on Dec. 11 for the 30th-plus annual MACPA Comptroller Holiday Luncheon. It is a time to celebrate the holidays and build relationships and camaraderie among the tax community. It is a tradition started by our State Tax Committee years ago and includes department heads from the Comptroller’s Office, members of the Maryland Bar’s State Tax Committee, and our MACPA State Tax Committee members. The talk of the meeting was the breaking news that Comptroller Peter Franchot was going to seek re-election for comptroller in 2014 and not pursue the governor’s seat (read his speech here). He made that statement to applause from the luncheon crowd, including his staff that were present. True balanced budgets and fiscal responsibility. Customer service — government as a junior partner to the private sector. Financial literacy, an initiative we have worked on and will continue to work on with him and his office. This year was extra special and bittersweet as former State Tax Chair and tireless member of the committee, Karen Syrylo, recognized retiring Deputy Comptroller Linda Tanton for her years of service to the citizens of Maryland. Linda will be succeeded by our new deputy comptroller, David Roose, after she retires on Dec. 31, 2012. Linda was the first woman deputy comptroller in the history of the state. Her work managing the Comptroller’s Office workforce to her numerous trips down I-97 to answer the call of Maryland’s legislature in Annapolis to tax settlements and judiciary appearances were all handled in a professional manner with a focus on fairness and genuine caring for others. Karen described her as a “non-adversarial adversary.” Make no mistake, she worked to collect every dollar due the state, but in a manner that can only be described as a consummate professional and in a style that is a hallmark of this Comptroller’s “customer service” culture. Karen concluded the luncheon by presenting Linda with an engraved bowl signifiying our appreciation and recognition of her years of service to the tax community and all of the citizens of Maryland. We wish Linda all the best in her retirement and will miss her. Congratulations to new incoming Deputy Comptroller David Roose. Speaking of tax, did you know MACPA has lots of top-quality tax training for all of your needs? See the calendar here. And don’t miss CPA Day in Annapolis on Jan. 16. Register here.